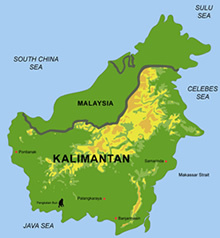 After the widespread fires of 1997/98 that caused severe damage to forest and peatland throughout Southeast area, mostly in Indonesia, subsequent fires that occurred in 2002 caused further destruction. In this mini El Niño year fires burned from July to October 2002. 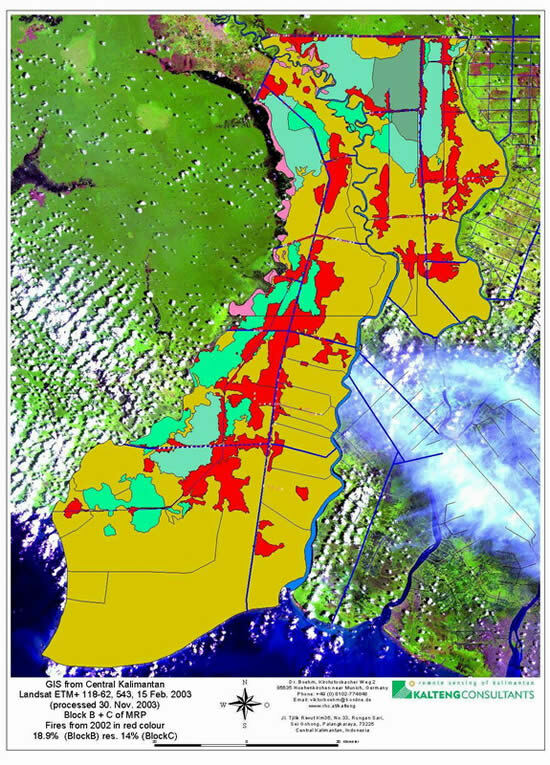 The Landsat image from 15th Feb. 2003 reveal this situation, see classifcation of Kota Palangkaraya. Although some activities were undertaken by several organisations, government and non-government, to try to control and extinguish fires these were ineffective and lacked coordination, funding and understanding of the magnitude of the problem. The voluntary fire brigade, TSA-UNPAR, spent a month suppressing forest fires inside the forested area of Block C of the former Mega Rice project (MRP). Most of the area affected by fire in 2002 had been severely damaged by fire in 1997 and dead trees remaining from the previous event played a significant role in spreading the fire to a wider area in 2002. 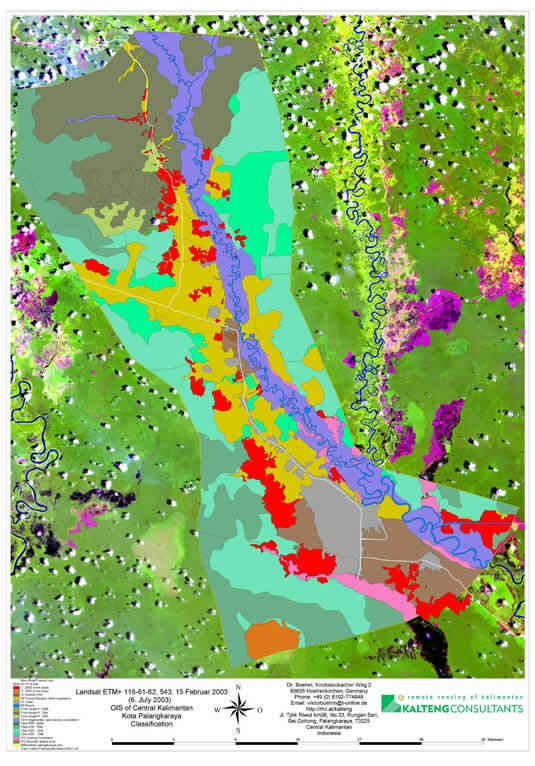 The result of remote sensed image analysis shows that the area affected by fire in 2002 was less than that in 1997 and extended over 18.9% of Block B and 14% of Block C of the former MRP.